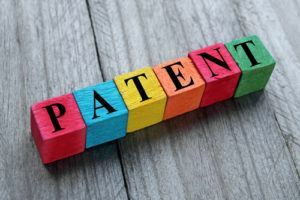 Cranford Law Firm, Werschulz Patent Law, LLC | Is My Idea Patentable? Many times, people come to see me with what I call concepts. These concepts are good ideas — maybe even great marketing ideas — but when I ask them to sketch it out or verbally describe what it will look like, I sometimes get a blank look. They have a product idea, but what it looks like and how it functions are not fully developed. At this point, I have to break the news to people that they must be able to describe it, or even make a rough sketch of it. I’m not looking for finished quality drawings or functioning prototypes, but their structure has to be outlined. If they already have a prototype, then we have to go to the next step, which is to see if it’s novel — but if they do not have any idea of what the parts are, or how it works, they need to go back to the drawing board. In other cases, people will come to me and present an idea…in a field that they honestly know nothing about. They observe what they think is a solution to a problem, and when they present their concepts to me, I often have to explain that someone has already solved that problem that their big idea is already out there and that they need to rework it to distinguish it from what’s already on the market. Do I have something that’s patentable? There is always room for innovation because there is a seemingly endless number of problems out there, and each one has many possible solutions. Just because somebody else has already solved a problem doesn’t mean you can’t solve it by using a different approach. If it’s structurally different and if it operates in a different way, you’ll be able to patent it. The answer to that question depends on the factors I’ve listed above, in addition to many, many other factors that would not fit into any single blog post. That’s why it’s important to see a patent attorney versed in the law and recent court decisions — even if only to be told that you need to start over from scratch.